At a weight of 3,420 lbs. (1,551 kg), the Fecon FRS15 can reach up and down slopes and other hard to reach areas with as little as 34 gpm and 4,350 psi hydraulic pressure. Fecon's FRS15 is the latest addition to the company's lineup of attachments for 16 to 24 ton (14.5 to 22 t) excavators. 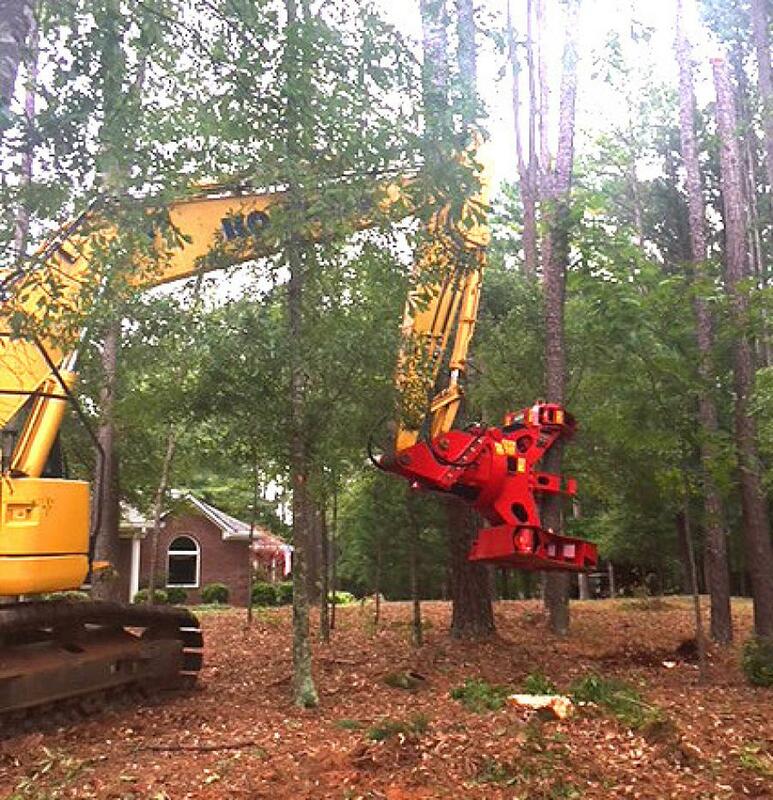 Made of Hardox Steel, this shear attachment provides a 360 degree rotation, which gives operators more reach and access to the trees and reduces repositioning of machines. A 29.5 in. (75 cm) blade opening allows the FRS15 to shear trees to 18 in. (45.7 cm) in diameter, while an accumulator arm allows gathering and continuous shearing of smaller materials. At a weight of 3,420 lbs. (1,551 kg), this rugged attachment can reach up and down slopes and other hard to reach areas with as little as 34 gpm and 4,350 psi hydraulic pressure. Shear rotation requires just 11 gpm, making it easy and fast to shear, bunch and gather materials. With multiple uses, and faster results, the FRS15 a great tool for land clearing and right-of-way maintenance contractors as well as municipal agencies in land clearing, tree care, and tree thinning applications, according to the manufacturer. For more information, call 513/696-4430 or visit www.Fecon.com.